I was recently approached by Education.com to review their educational worksheets. I chose to do the Autumn Subtraction Worksheet with MO. This was perfect and so simple to use that MO once we explained how to use the sheet, sat and worked through everything by himself. It gave him independence and completely boosted his self esteem knowing that he completed a whole worksheet by him self. 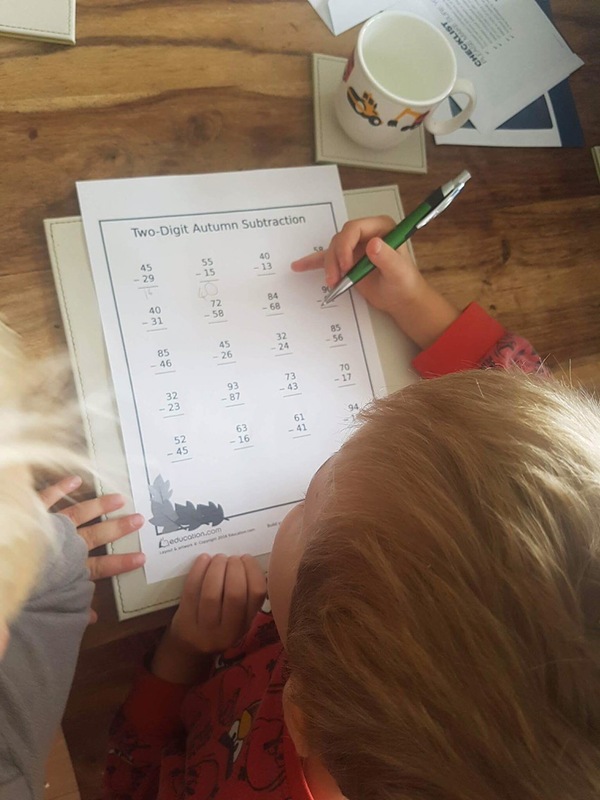 Get in the autumn spirit while practising two-digit subtraction! Perfect for the changing seasons, this worksheet will help your child improve her subtraction skills. Find more fun subtraction resources here. MO struggles with gripping his pencils and it takes him so long to write a sentence as the pencil doesn’t do what he wants it to, however Education.com also have a wide range of mazes puzzle PDFs that would help with his pencil control. 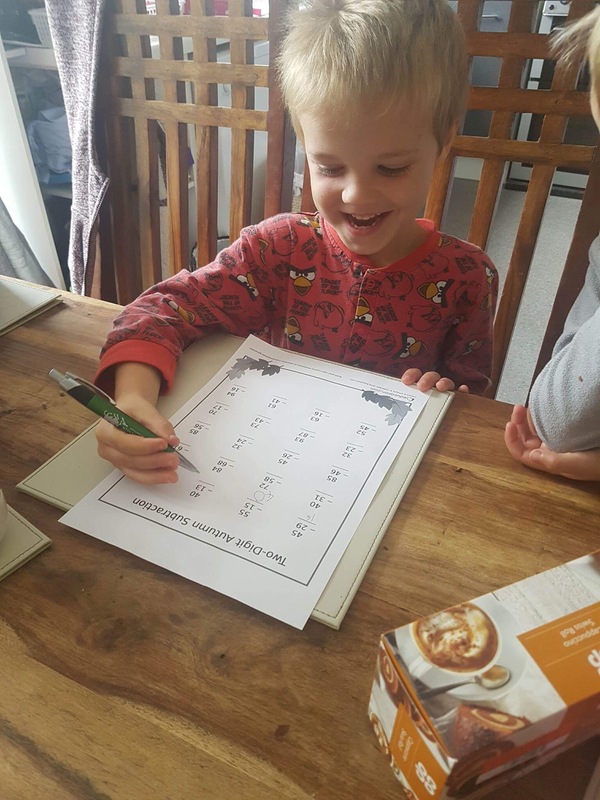 Not only has this helped MO, there are a HUGE range of worksheets for all different ages ranges and capabilities; painting by maths, secret codes, word puzzles, From pre school all the way through primary school there would be a spreadsheet for you. All our children thrive on one to one with an adult when it comes to homework and the amount of variety of topics and ages I can’t see us getting bored with the worksheets anytime soon! Thank you Education.com for showing me your resources, it is something I would highly recommend.